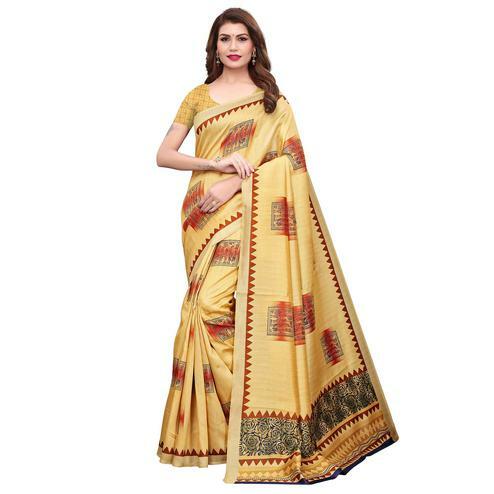 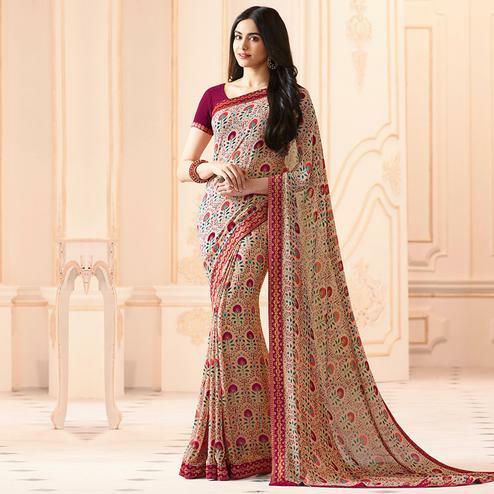 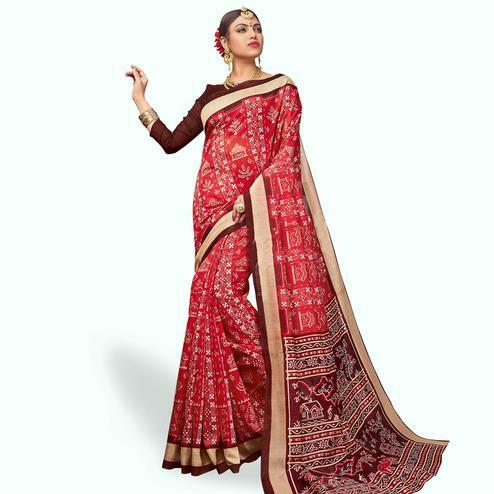 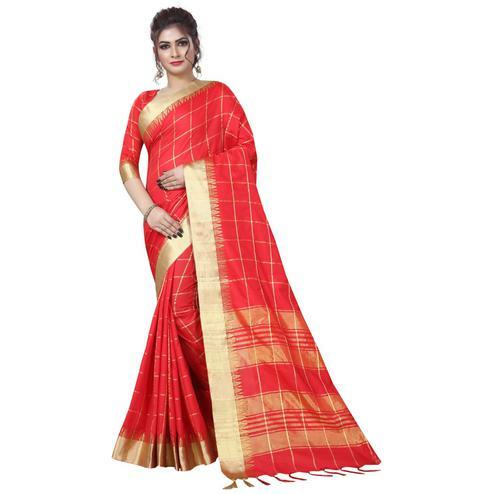 Look simple and traditional wearing this beige - red saree made from bhagalpuri silk fabric featuring multicolored madhubani prints at all over with border in contrast color. 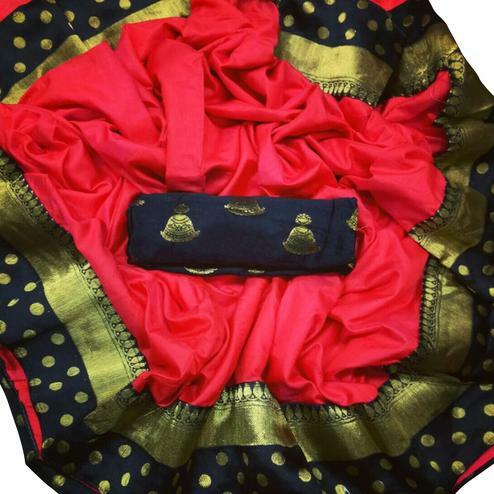 Paired with matching fabric blouse piece in unstitched type. 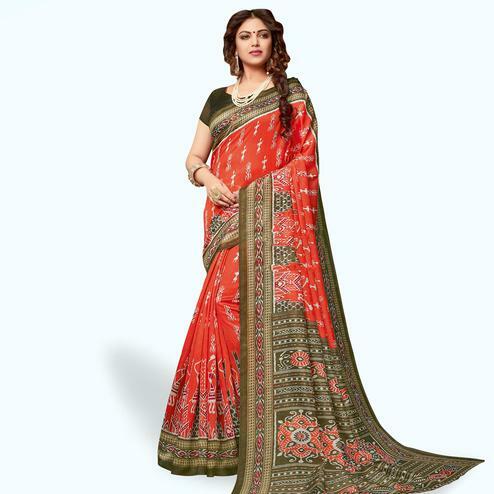 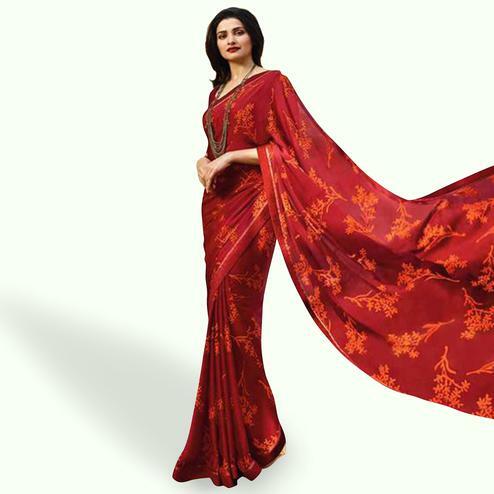 You can wear this saree for casual and regular purpose.